Marriage – the union of not just two beings but altogether two different worlds. Everything about marriage sets one into an idea that is so majestic and elegant. From the excitement and joy of starting something new to the sudden onset of conundrum that comes with it- everything forms a part of the special occasion which is celebrated with much fervour. From the theme to its destination, everything is now made sure you have a touch of remarkability. From the saat pheras to the bidai – all the events are bedecked glamorously. The Indian theme weddings have been trending since a couple of seasons and the most sought after themes are the ethnic and the indo-western. No matter what diverse cultural background we hail from we identify with the simple and yet elegant heritage that has been passed on to us and a huge part of it is formed by the elaborate wedding ceremony. In this Indian theme wedding, not only the couture but also the destination, Mandap, and the food are super embellished. 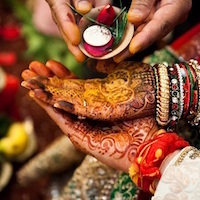 The bride is often seen wearing a bedecked lengenga, odhni or a heavily embroidered saari. The jewellery is super rich and embellished. From the Benda to the Payal, everything that fits the skin is added to the outfit (think of Aishwarya Rai Bachchan as Jodha in Jodha Akbar). 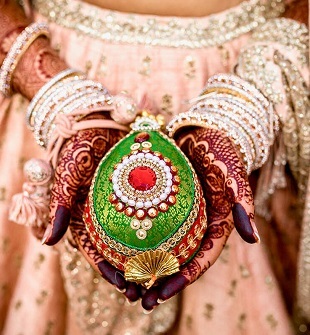 The coutures follow to the cultural dress up of the ancient queens and truly stick to “ethnic” Indian theme weddings. The groom is dressed up in the typical yet bedecked kurta-pyjama or an elaborate sherwani with a stole. A turban with a kalgi and the talwar or kataar are a hit. As for jewellery, the broach and sometimes an elegant neck piece preferably of pearls are often added. 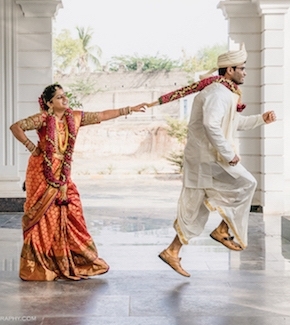 For footwear, both, the bride and the groom go by the traditional wearing by teaming their outfits with mojdis or jooties. The Mandap decorated with flowers, flower garlands, petals, brass pillars, kaudi beads, etc. 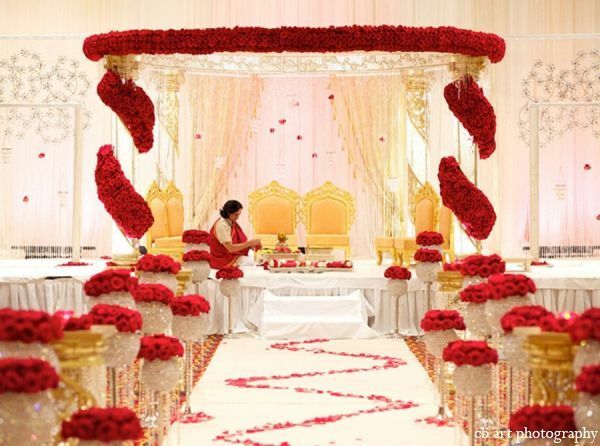 For example, a typical “ethnic” Mandap would have pillars of brass pots and a chajja of flower garlands. Beautiful flower art decor is a hit. The Agni place is decorated with pretty rangoli art. The cuisines of India are all that you will see in a typical ethnic wedding with Rajasthani, Punjabi and South Indian desserts on the main course. Many a time the Indian Street food also forms a part of the menu. 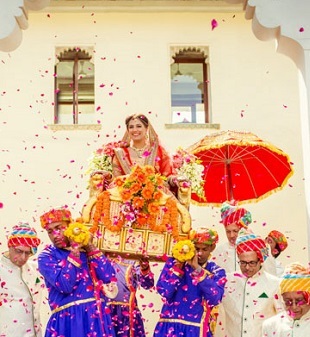 If it’s an ethnic destination wedding then Rajasthan occupies the top spot. Southern Indian states follow. The indo-western themed wedding add that extra edge and glamour to the Ethnic weddings as they keep the simplicity intact. The added charm is supremely appealing and captivating. The bride is seen donning on chic yet elegant pieces. An embellished long skirt and blouse which are teamed with a pretty lace cape which replaces the dupatta is a very popular choice. The bridesmaids are seen following a specific dress code which is not normally seen in the ethnic weddings. The jewellery is kept minimal. Unlike ethnic wedding where mojdis and jootis are the choice, stilettos and pumps are popular choices. A prince suit type of Sherwani with elegant trousers or a churidar is worn with Oxfords as footwear. A stole may or may not be added. The pagdi or turban is usually skipped. 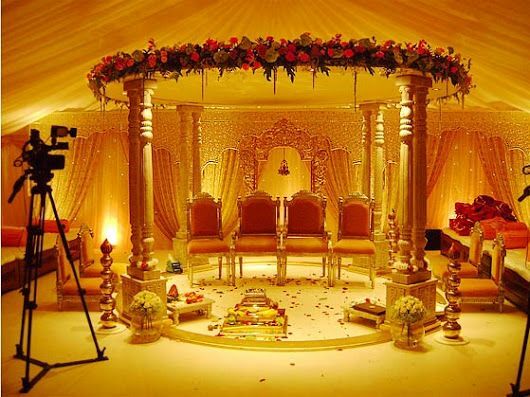 The Mandap is kept simple and yet elegant. Alike ethnic weddings, the flowers, are popular here too. The decoration is kept delicate, sophisticated and minimal and yet beautiful. The time consumption seems lesser than that of the ethnic wedding decor. A multicourse menu is decided, the cuisines ranging from Italian to Thai to American. Along with these some of the Indian comfort foods are also added. Goan beaches are a part of very popular choices in such weddings along with the backwaters of Kerela. Foreign destinations include Thailand and Sri Lanka commonly. The ethnic weddings are very commonly very thorough with the rasams rarely skipping any. In the latter, the rasams are sometimes skipped and very often events like cake cutting, ball dances are organised popularly. These however, keep changing widely as per the convenience and traditional preferences of both the parties no matter whichever theme they decide to select. Both the themes have their own pros and cons and the choice can be really tough to make but both of them do ensure the two worlds about to amalgamate have amazing memories coalescing with much sought after illustrious and monumental grandeur and felicity.